He then shared his observations on the need for ‘true intelligence’ — artificial intelligence (AI) — to equalise the ratio between the growing number of household appliances, and the ‘cognitive labour’ need to operate them. He pointed out that while household appliances ‘have reduced time spent on housework by around 75%’ throughout the past century, the effort needed to use them has increased. As our homes evolve, so must our appliances and other household gadgets. 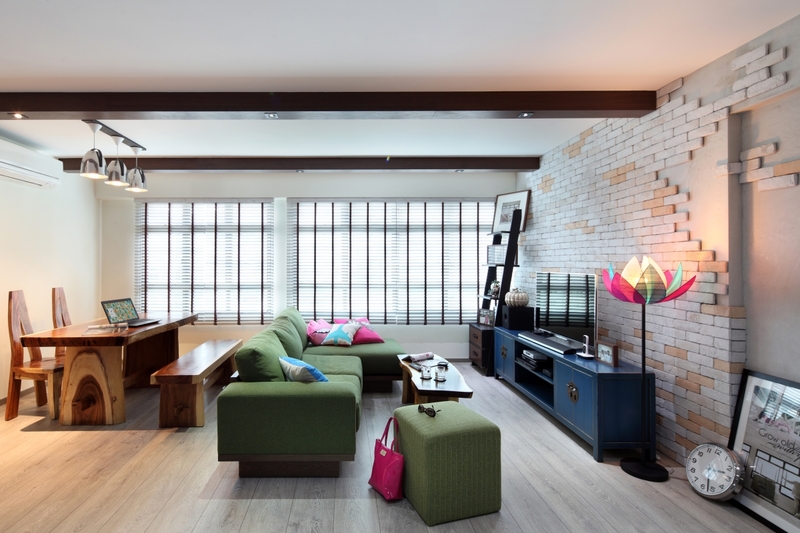 Services and product retailers are moving quickly to create quality products to improve connectivity and convenience, as well as reduce redundant home labour, in Singapore’s homes. Your big friendly refrigerator will not just be a centre for storing and protecting food, but it may also be the command centre for your daily household activities. Meet the Samsung Family Hub, a sleek gentle giant accommodating up to 550L of produce and four doors to keep food cool and fresh no matter which door you open. Its defining trait, however, is the 21.5” touchscreen on its left door. True to its name, the Samsung Family Hub lets you and your family manage your daily activities — regulate in-fridge temperature to keep food fresh, plan schedules, read the news, send written and visual notes to family members, play music, and even pull up recipes for your dream cookout! Also, with the Samsung SmartThings app, you can use your Family Hub to control SmartThing-compatible appliances (washing machines, air-conditioners, smart lighting, motion sensors, etc) in your home. Not only that, Samsung’s voice assistant Bixby can help you navigate the Family Hub’s tasks, letting you work hands-free if you are on crunch time. You can get the Samsung Family Hub at the above discounted price at all Samsung stores and major retailers, including COURTS, Harvey Norman, and Gain City. Say hello to the future of laundry, with Steigen’s motorised laundry systems. They have four laundry systems to choose from, so we decided to tell you about one of them. If you have found yourself struggling to bring your laundry in during rainy season, or lifting up bamboo poles to hang your clothes, then Exalt+ Solar may help alleviate your laundry woes. It can carry up to 35kg of heavy laundry (the equivalent of two full loads of a washing machine), and comes equipped with solar drying technology and air circulators to quickly dry your clothes. LED lights help you see if you do your laundry at night, and the poles can be extended for additional hanging. The system also comes with a remote control so that you can control it from a sufficient distance. Also, other than the Steigen manual remote control, Exalt+ Solar can be controlled via the Steigen Connect app (the apps works will all ‘Solar’ models only), so you can worry less about what happens to your laundry during unpredictable weather. To save space, all four laundry systems are fixed with a side-folding scissor mechanism so that they can be pushed up when not in use. There are a lot of smart home hubs from famous brands (LG, Samsung, Google, Amazon, to name a few) which you can utilise for your home, so we closed our eyes, spun a finger, and picked one. LG brings to you a smart home hub that is also a speaker - the XBOOM AI ThinQ WK7 Speaker. While its name may be a mouthful to say, its features make it easy to use. Built with Google Assistant, Meridian Audio’s advanced technologies, high-resolution audio, and Chromecast, you can place this Speaker in your home and give it voice commands to let it do its work. You can ask it to run your usual tasks — operate your smart appliances, update you on the latest news, plan your schedules, etc — while it plays your favourite music at the same time. It is a speaker after all, so you can expect it to be not just smart, but very musically-inclined thanks to its audio prowess. Plus, your home will never be steeped in stone-cold silence again as the ThinQ WK7 Speaker’s Chromecast feature lets you connect with Chromecast built-in or Chromecast Audio devices in your home, so music can be heard no matter which room you are in. The XBOOM AI ThinQ WK7 Speaker is available at LG dealers and major retailer stores — COURTS, Best Denki, Gain City, and Harvey Norman. We have mentioned this once, and we will mention it again: This is the perfect starter kit to get if you are seeking smart technology for your home. For your convenience, these upgrades work with your existing electrical products at home. No hacking or minimal alteration required, giving you fuss-free, mess-free smart installation! You can get any GURU home automation kit from any COURTS outlet and COURTS’s website. With so many smart locks out in the market, what’s a good one to use for your home? The igloohome Smart Mortise Lock does not just protect your home, but also grants you, your family, and beloved guests convenient access to your home. With four modes of access — via mobile app, via pin code, via physical key, and via card — there is a mode for everyone in the family. Also, the Mortise can churn out pin codes for everyone, so nobody has to get stuck and wait outside for extended periods ever again. Just use the accompanying app to create pin codes and send them out for exclusive entry to your home. You can also customise the codes’ durations and read up on entry logs to track visitor access. Not only that, the Mortise can work offline, so you can still give access to your home via PIN codes and the app’s bluetooth function without the fear of Wi-Fi hacking. You can also use voice-command systems like Google Home and Alexa to activate certain functions of the Mortise. Additional features include security lockout modes, fire alarms, tamper alarms, emergency exit mode, low battery warning, and emergency power supply. The igloohome Smart Mortise Lock is available at Häfele’s local branches, their website, and igloohome’s website. It is also available at major electronic retailers. Wondering how to make your home smarter? Take yourself on a little shopping trip, and keep an eye out on how our household appliances are getting smarter, and how they can improve our living in the near future. Get Smart In Securing Your Home With These Smart Locks!